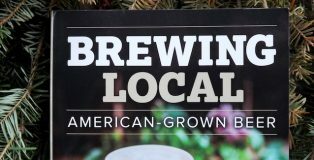 Eschewing hops in your beer is not the best money-making business model in American craft beer in 2018, but if you’re brewing it for yourself, who cares? 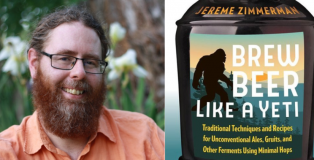 Actually, those last two words form a sort of unofficial mantra for Jereme Zimmerman’s attitude toward accepted homebrewing guidelines in his new book. Learn the rules, then break them. It may come as a surprise to many people that beer pairs beautifully with cheese. 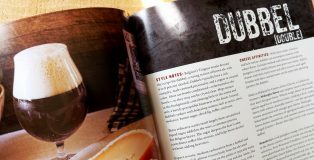 Wine has long held a stranglehold on cheese pairing, and while excellent wine and cheese combinations abound, cheese might actually find its ideal companion in the nectar of malt and hops rather than grapes. 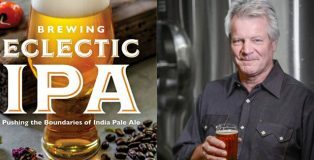 Janet Fletcher has written a book to help beer lovers get the most of this match made in heaven. 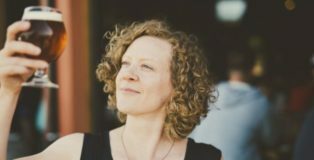 In her book My Beer Year, Portland-based journalist Lucy Burningham chronicles her time preparing for the Certified Cicerone exam. She presents herself as a novice early on (though she clearly knew more even then than the average beer drinker), and the book covers the year or so she spent gaining more knowledge and experience. 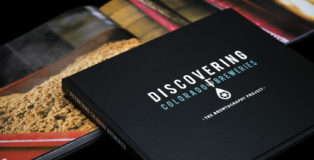 If you’ve attended any Colorado beer festival over the past four years, chances are, you’ve at some point encountered photojournalist Dustin Hall, who shoots under the moniker, The Brewtography Project. Sporting his traditional short trimmed beard, signature Brewtography Project Dickies work shirt, flat-brimmed brewery cap turned backward, with his trusty Canon 5D Mark IV draped around his neck, Hall is both iconic and unassuming at the same time. 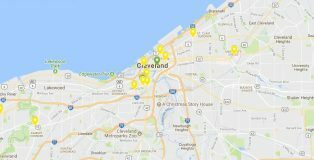 It is possible in 2017 to find good beer and exciting breweries in every state in the union. Gone are the days of large beer deserts in this country; you might just have to look at little more diligently in some states than others. Still, a few states rise above the rest with an embarrassing wealth of great breweries both old and new. 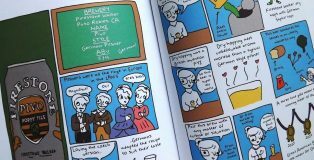 Michigan is one of those states, and if you need any persuading, a new book by William Rapai aims to quiet your objections. 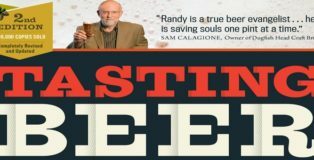 If you’ve put much serious time into learning about beer, you’ve probably already dog-eared your copy of Randy Mosher’s Tasting Beer. 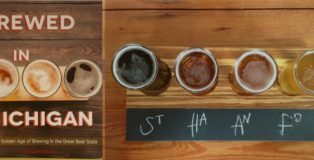 The book is the foundational text for studying for the Cicerone exam, and is usually the first book recommended when someone wants to go beyond the basics of beer and understand our favorite beverage better. 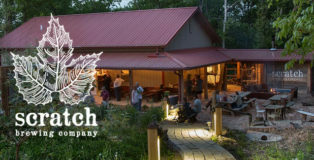 The folks at Scratch Brewing Co. are connected to the land around their brewery in ways few other brewers can boast. Secluded in the woods near Ava in southern Illinois, the Scratch gang doesn’t just use local malt and hops, they pull the ingredients that make their beers so unique from the terrain of the surrounding forest. Tree bark, leaves, mushrooms, berries, nuts, flowers, even plants many of us have been trained to think of as weeds—it’s all fair game for brewers Aaron Kleidon and Marika Josephson. Consequently, their beers have a quality of place—terroir, to use the fancy parlance—few other brews have. 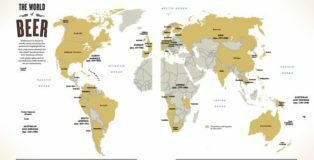 The world’s 11 Trappist breweries hold a mystique for beer drinkers that few other breweries can generate. Not only is the beer that is produced at these monasteries consistently excellent, but the remote and cloistered nature of these breweries blankets them in an air of mystery. 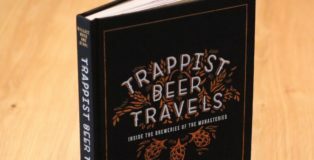 Few of us will ever step inside the hallowed walls of these monastic breweries; the three authors of Trappist Beer Travels have been inside all of them.